Homun is a small community near Cuzamá, better known for its cenotes. 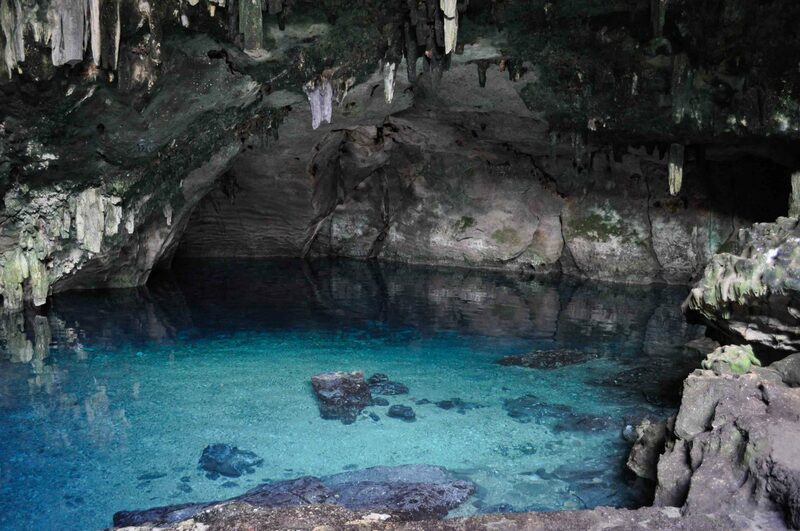 While Cuzamá struggles to settle their land dispute, Homun is good choice to visit several cenotes within a contained geography. Each cenote at Homun is different, all of them refreshing and eye-catching. After visiting and swimming in the cenotes, we suggest you continue your day trip to Izamal, the only “magical town” in the Peninsula. Very few selected towns in the country have been awarded the title of magical towns. These few places are endowed with relevant architecture from the Spanish colonial period, in this case the magnificent Franciscan monastery (built on top of an former Mayan temple), plus the connecting squares. 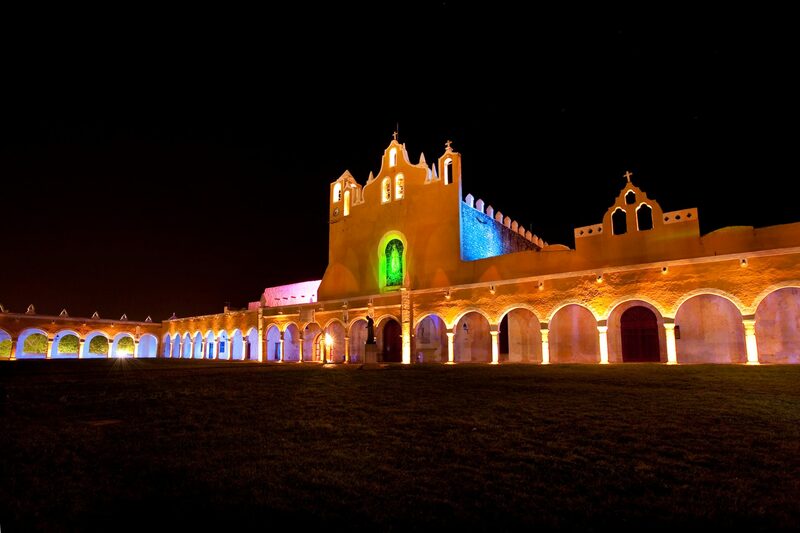 The surrounding streets and old homes are well kept, and the striking unifying element is the color, a unique hue of yellow that is the trademark of Izamal. The Kinich pyramid (which means “the elder”), located only 2 blocks north from the monastery adds the Mayan touch to the town. It offers outstanding views of the northern lowlands. On a very, very clear day, Chichen Itza can be seen. At first glance the pyramid does not seems large, but once you walk around it and climb on top of it you will notice its regal dimensions. A couple of blocks east, you can visit Izamatul pyramid. Excellent Yucatecan food can be found at the Kinich restaurant.